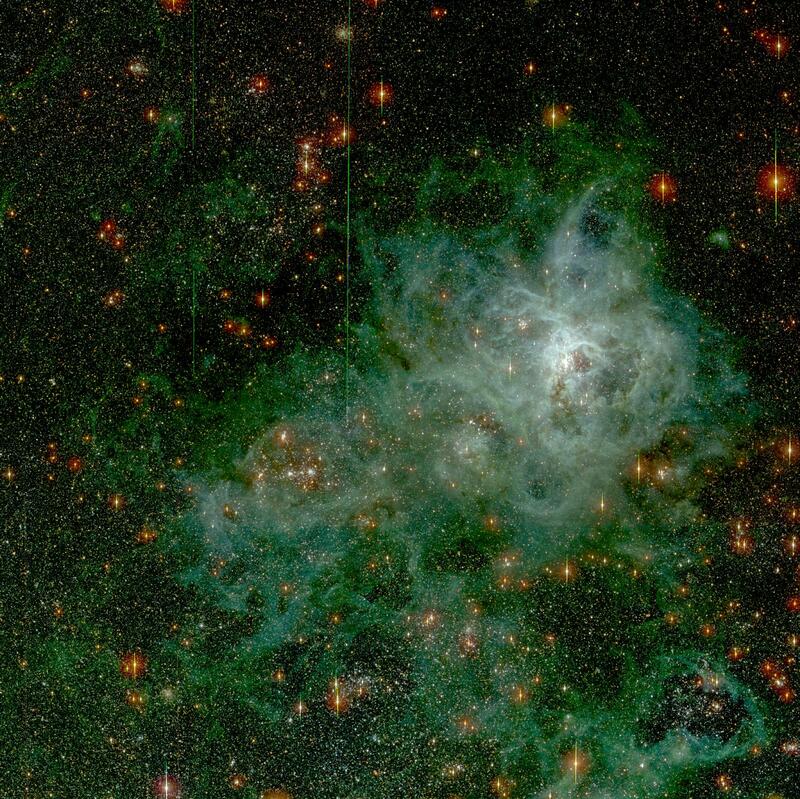 Explanation: In the heart of monstrous Tarantula Nebula lies one of the most unusual star clusters. 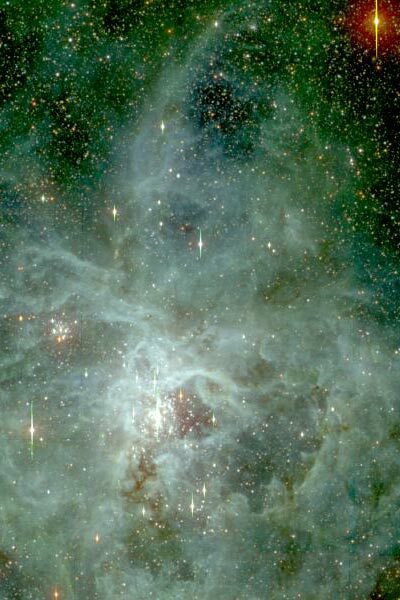 Known as NGC 2070 or R136, it is home to a great number of hot young stars. The energetic light from these stars continually ionizes nebula gas, while their energetic particle wind blows bubbles and defines intricate filaments. The above representative-color picture of this great LMC cluster details its tumultuous center in gas, dust and young stars. The 30 Doradus nebula is one of the largest star-formation regions known, and has been creating unusually strong episodes of star formation every few million years. In the heart of this heart is a central knot of stars that is so dense it was once thought to be a single star.